The secret of patient care is caring for the patients. Jindal Naturecure Institute (JNI) is a leading Naturopathy hospital which has been established for prevention and cure of chronic diseases through detoxification of the body and modification of lifestyle, with a holistic approach. The Institute has pioneered in modern drugless healthcare in India. Our Vision is to encourage people to follow a natural way of life, and to help them activate their innate ability to fight diseases without drugs so that they do not suffer from preventable diseases and thus, the economic burden on the weaker section of the society is reduced. To promote benefits of a drugless and natural healing and provide these treatments to all strata of society so that their dependency on conventional drug minimizes and the society at large is able to lead a healthier life naturally. 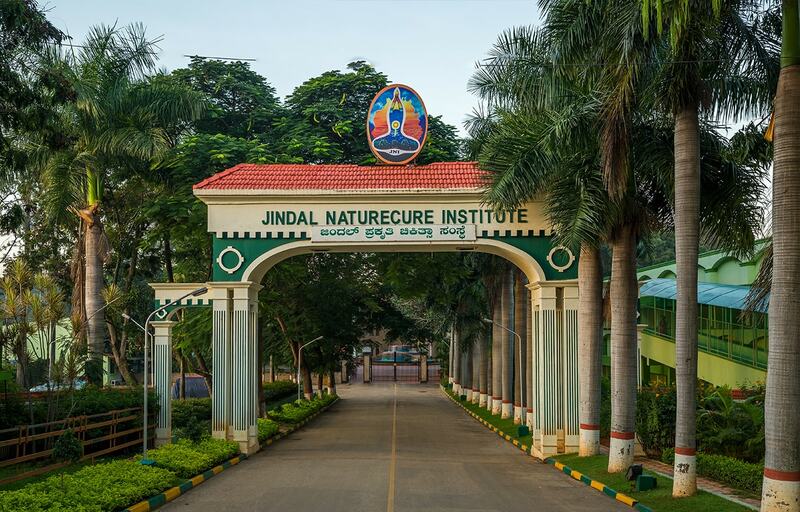 Jindal Naturecure Institute (JNI) was founded by Dr. Sitaram Jindal, an eminent industrialist and a philanthropist, in 1978 on the outskirts of Bangalore in a 100 acre campus of lush greenery. Initially it started operating as a charitable hospital under Sitaram Jindal Trust and was known as Institute of Naturopathy and Yogic Science (INYS). In 2007, the name was changed to JNI. Patients with chronic diseases, tired of continuous medication, saw a new lifeline in the Institute’s firm and devoted approach to naturopathy. For a patient, benefit was instant and palpable. Within no time the devotion, discipline and principles of JNI started getting spread by mouth through sharing of experience amongst the patients. In the late nineties, JNI started with a bed strength of 107 and due to popular demand, exclusively for mid-income group patients, a separate block of 112 beds in standard rooms were added. By the turn of the millennium, as the Institute moved forward, overall extension took place in phases. Physiotherapy, Acupuncture, Gym, Pathology and Imaging were made available in Manav Charitable Hospital (MCH), an adjacent mainstream hospital together with about 20 other active departments to cater the emergency need of patients. Simultaneously the demand rose further - this time from patients who also looked for better facilities for a comfortable stay. Perforce, JNI came out with a set of accommodations especially suitable for patients who also look for luxury in stay. Gradually, in phases, bed capacity rose to 550 in various categories. Presently JNI treats about 15000 patients annually suffering especially from various chronic and acute diseases which are otherwise not curable in any other branch of medicine. As JNI treatment is prophylactic, and offers insight as to how to change life for better, the patients carry the learning home for lifelong benefit and many return with their near and dear ones periodically to refresh their learning. Today’s JNI is a role model of drugless therapy in India and abroad. If there is an awareness today that abuse of drug is dangerous, and a natural lifestyle is the way out, we feel that, - however humble - JNI has a contribution thereto. Dr. Sitaram Jindal was born on September 12, 1932 to Netram Jindal and Chandravali Devi, and was the third of the five brothers. 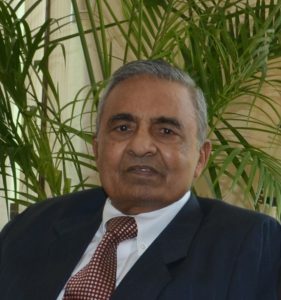 Dr. Sitaram Jindal completed his schooling in his native village Nalwa, Haryana and graduated from Calcutta University in 1956. He obtained a graduate degree in Naturopathy, and was subsequently honoured with a D.Sc. by the Tumkur University, Karnataka. He is one of the Founders of Jindal Group of Industries and is the Founder, Chairman & Managing Director of Jindal Aluminium Ltd.(JAL), which is India’s largest aluminium extrusion manufacturers meeting about 30% of the nation’s extrusions demand, and 15% of the nation’s aluminium rolled products demand. The Company is known across the globe for its product quality. Yet his concern has always been with the good health of the country’s poorer section of the society who carries a huge economic burden for spending money on drugs, which automatically has a vicious cycle. Since all drugs have harmful side effects, one drug necessitates another and the cost keeps rising with no solution, as no cure is derived in the mainstream medical care. Dr. Jindal’s continuous untiring efforts ultimately bore fruits, as he finally came up with a drugless healthcare facility, capable of addressing the lifestyle related medical conditions affecting all segments of society. Based on his personal experience of adopting Naturopathy and Yoga, he propounded a drugless regimen to the effect that since the human body is an intrinsic part of nature, it can heal itself, provided one follows a lifestyle in consonant with nature. In a defining moment of the history of drugless medical care in India, he brought Naturopathy and Yoga on a single platform, and announced that Naturopathy will heal and Yoga will maintain. He kept diagnostics through modern medical equipments so that medical findings and results remain above board. He founded a Naturecure and Yoga hospital in a huge and pristine campus of about 100 acres on the outskirts of Bangalore and named it Institute of Naturopathy and Yogic Sciences (INYS) in 1978, which subsequently became to be known as ‘Jindal Naturecure Institute’ (JNI) and started with 12 patients for treatment. Today’s JNI treats about 15000 patients annually, who come from across the world and get benefited by changing their faulty lifestyle. Dr. Jindal is deeply committed and highly responsive to the welfare of the society. He spends quality time and substantial funds for various social and charitable activities. He is instrumental in establishing and running several charitable institutions in the field of education, health, social welfare etc. and is the founder of more than 16 charitable trusts and societies that are doing yeoman service to the community at large.